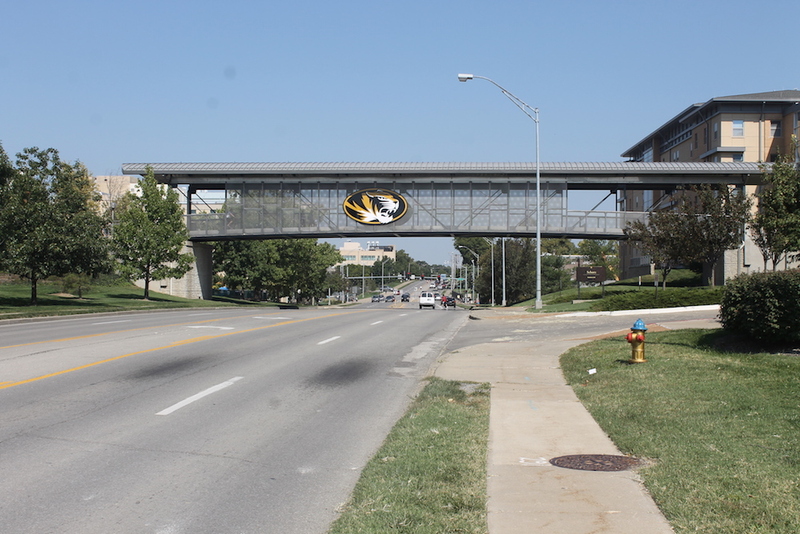 The east building of Tate Hall was constructed in 1926 and the west building was constructed in 1959 on the University of Missouri Columbia campus. A small link was originally provided between the two buildings. The link no longer provides adequate access to the two buildings and travel between the buildings is difficult. The new construction provides for a larger link with better ADA access. Both the east and west buildings had fairly large areas dedicated to book stacks. 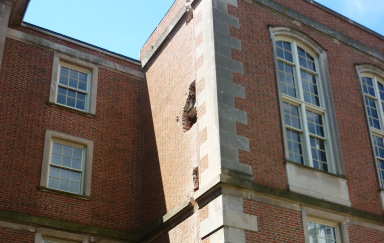 The stacks penetrated through the upper floor. The desire was to remove the stacks and fill the third floor void to create additional office space. SEA designed a new floor system for the third level that resulted in no more load delivered to the second than was present with the stacks. SEA framed the new link with structural steel and metal deck. The new link structure is founded on drilled shafts. Three distinct structures were created by providing expansion joints either side of the link. The construction cost was approximately $8 million. 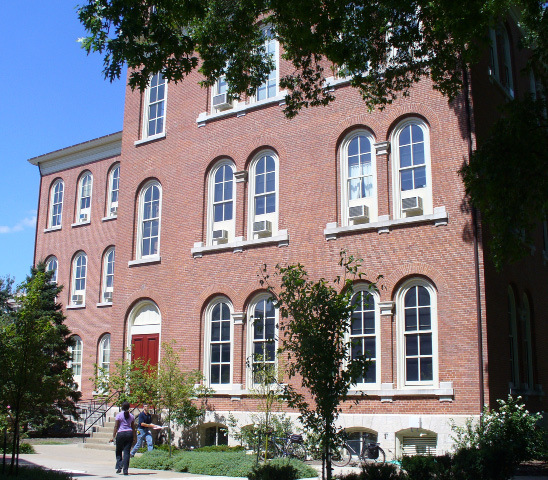 Switzler Hall was originally constructed in 1872 and is the oldest classroom building on the University of Missouri Columbia campus. The structure has a stone foundation with six wythe brick exterior walls. The wood floors were in poor condition. The exterior of the building had recently been restored. 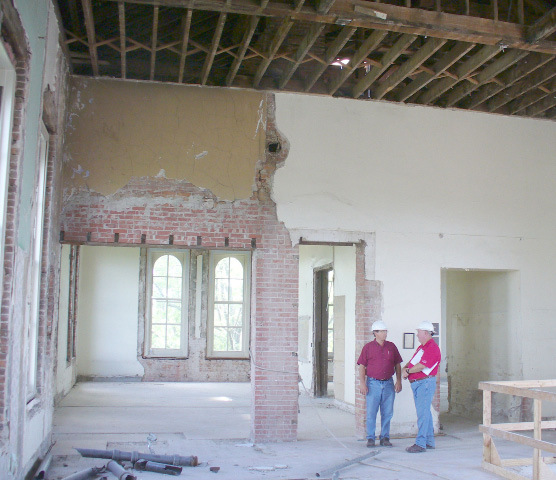 The project scope included the removal of all three wooden floor structural levels and the replacement of those floors with a cast in place concrete structural system. No bracing could attach to the outside of the structure. SEA outlined preconstruction testing to determine connection capacities for temporary bracing and final wall attachments and developed the criteria for a temporary bracing system to be installed inside the existing building. The perimeter walls were stabilized with light gauge metal framing. The interior concrete framing was supported on micro piles installed with minimal headroom. The addition was a concrete framed structure supported on drilled shafts bearing on the same rock strata as the micro piles. 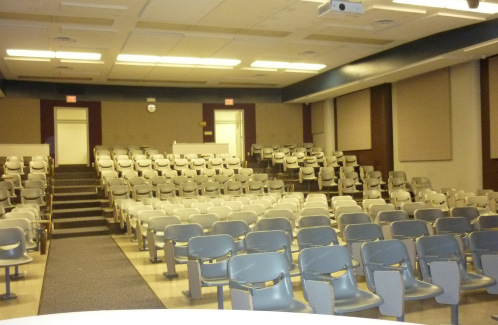 The completed project is approximately 28,000 square feet and the project cost is approximately $6 million.